Meera Subramanian is an award-winning journalist whose work has been published in New York Times, Nature, Virginia Quarterly Review, Orion, and elsewhere. She is an editor for Killing the Buddha and earned her graduate degree in journalism from New York University. 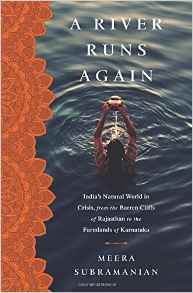 Subramanian received a Fulbright-Nehru Senior Research Fellowship for her work on A River Runs Again. She lives on Cape Cod in Massachusetts and can be found at meerasub.org and @meeratweets.